Two E-types topped the results at Barons’ Jaguar Heritage sale at Sandown Park on June 16th. While they may both have been E-type roadsters, they were from two different decades and finished to different standards. The superb 1974 S3 roadster was generally described, by all that viewed it, as being the best they had ever seen. This truly outstanding car sold for a UK record price of £69,699. including commission. In second place was a glamorous bright red 1966 S1 LHD roadster at £32,346. The top-selling MKII was a 1962 MK11 3.4 automatic, which sold for £20,000, despite having little or no history. The pre 1960 models were represented, in the results, by a lovely MKIX, which had been equipped with a modern, 4-speed automatic transmission. At £14,285, it looked like excellent value, even with the modern gearbox. “Our annual Jaguar Heritage sale always attracts a good entry, and a good crowd,” said Barons’ MD, Laurence Sayers-Gillan. 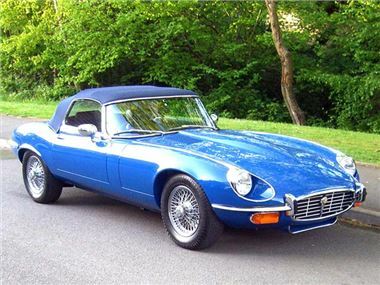 “Jaguar is one of those marques whose appeal never seems to fade and, of course, the E-type and the MK11 are the most collectable and affordable of the classic Jaguars. Good examples always prove popular, but we were pleased to have achieved almost £70,000 for the Series 3 E-Type, which we believe to be a UK auction record for a non-commemorative car. Barons is now accepting entries for its summer sale at Sandown, on July 28th, early entries for which already include another two E-types (a 1973 roadster and a 1970 fhc) and MK11 Jaguar (a 1968 example), along with two magnificent 1920’s Rolls-Royce Landaulet limousines. For further information or to consign a car to the sale, please visit www.barons-auctions.com, email info@barons-auctions.com or call 08445 30 60 60.